Soon, you will all be voting on the new Collective Bargaining Agreement. We realize that our first CBA was not all that and it is essential that we build on the last CBA--not take cuts to the new one. It is my view that we must move forward as an Agency and not backward; that we demand respect and fair treatment and not disrespect and disparate treatment. We will never move forward as a respected Governmental Organization if we continue to accept the status quo—instead, we need to send a message, loud and clear, that we are tired of the way things are and we will not settle for less than we deserve. Therefore, in the spirit of unity and as a clear statement to our commitment of moving this Agency forward in a manner that reflects the rights maintained by our sister agencies within the Department of Homeland Security, I am asking that you vote this CBA down. We do not want it! It is absurd, a slap in the face to what the Union has attempted to do—despite obstructionism from some Agency officials—and we will not tolerate incompetence toward our workforce anymore. 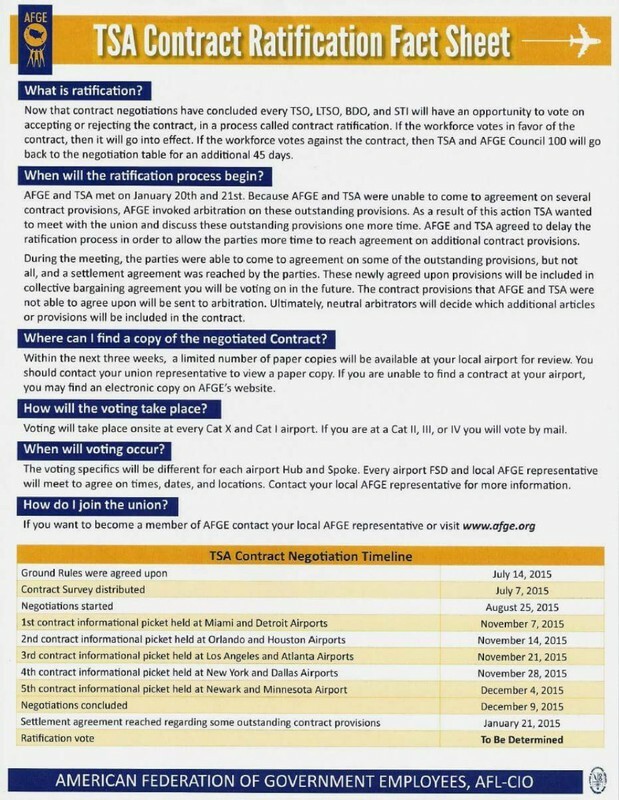 Let your voices be heard by way of voting down this abhorred contract and allow the Union to return to the Negotiating Table to hammer out the details for a better contract.